-Full Restoration of Watches and Pocket Watches. Our watchmakers trained by Swatch Group, Inc. (Brequet, Blancpain, Glashutte Original, Jaquet Droz, Leon Hatot, Tiffany & Co., Longines, Omega, Rado, Union Glashutte, Tissot, ck watch & jewelry, Balmain, Certina, Mido, Hamilton, Swatch, Flik Flak and Endura) received their certification from American Watchmakers-Clockmakers Institute and entitled as CW21 (Certified Watchmaker of the 21st Century). We specialize in all mechanical, chronograph, automatic, self winding, wind up wristwatches such as Rolex, Omega, Patek Philippe, Breitling, Longines, Vacheron Constantin, Ulysse Nardin, Audemars Piguet, Tag-Heuer and all antique pocket watches. We have been a good standing member of the National Association of Watch and Clock Collectors (NAWCC) & the American Watchmakers Clockmakers Institute (AWCI) since 1988. Offer includes disassembly and inspection for internal and external signs of damage, excessive wear or other visible problems. The case is opened and inspected for visible damage or wear. The movement is removed from the case, disassembled for cleaning and all parts are inspected as they are moved, gears, jewels, pinions,etc. All parts are put through a proprietary cleaning process to remove all oils, corrosion, metal dust or other contaminants. All parts are reassembled & oiled by manufacturer’s recommended procedure. If any additional parts are needed, there will be an additional charge for in which you will be contacted and told the cost. The movement is then timed using the most accurate and latest horological timing instruments. The case and band are cleaned chemically using an ultrasonic cleaner, satin finished and plastic crystal is polished. 1 (one) year warranty. (*) All watches should be serviced every three years to obtain the maximum life of the watch. (***) Timekeepers Of Escondido sells pre-owned Rolex and other collectible watches. Unless we otherwise specifically indicated, we have no affiliation with Rolex USA, Rolex International, Cartier Inc, Patek Philippe, or any other manufacturer of any items we sell or mention. (****) We have been repairing and restoring all types of mechanical clocks such as Seth Thomas, Herschede, Howard Miller, Ridgeway, and Sligh clocks for more than 20 years.  We provide service for all brands of mechanical clocks, including brands that are less well-known, such as Atmos, Gustav Becker, Lenzkirsch, Sessions, Waterbury, Gilbert, Ingraham, Smith, Hermle, Schatz, Kundo, Ithaca, Elliott, Emperor, Hammond, and Revere Telechron electric clocks. We specialize in all types of American and European clocks, including 400 day or Anniversary Clocks, Cuckoo Clocks, Chelsea, Wood Works Clocks, wind up car clocks, wind up airplane clocks, Biedermeier, Vienna Regulator, Grand Sonnerie, Calendar, Crystal Regulator, Ship, and all types of English and Scottish clocks.